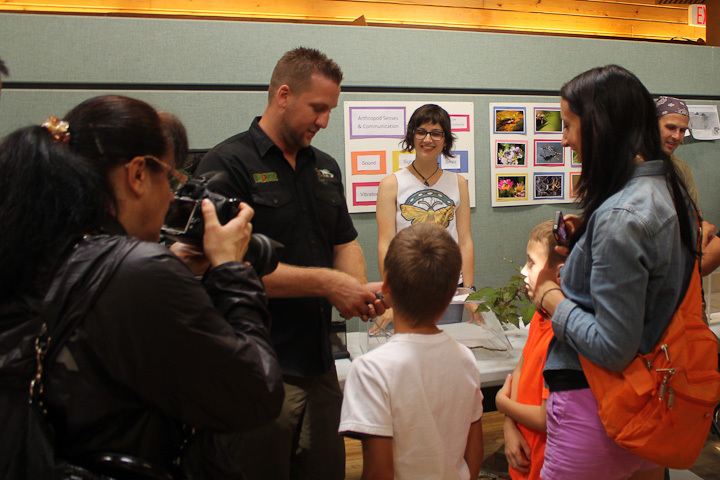 Yesterday, we headed down to Richmond Nature Park for their first annual Bugs Galore! event. 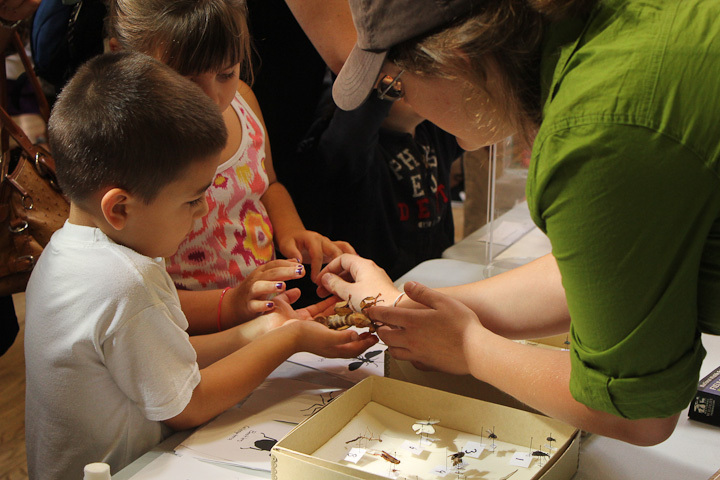 This was a fun opportunity to introduce the public, particularly children, to the wonders of insects and other arthropods. 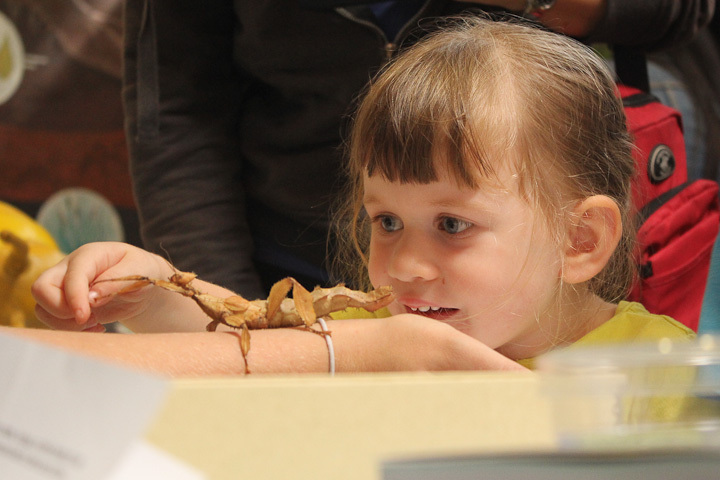 When you have a roomful of kids meeting some pretty cool bugs, magic happens! 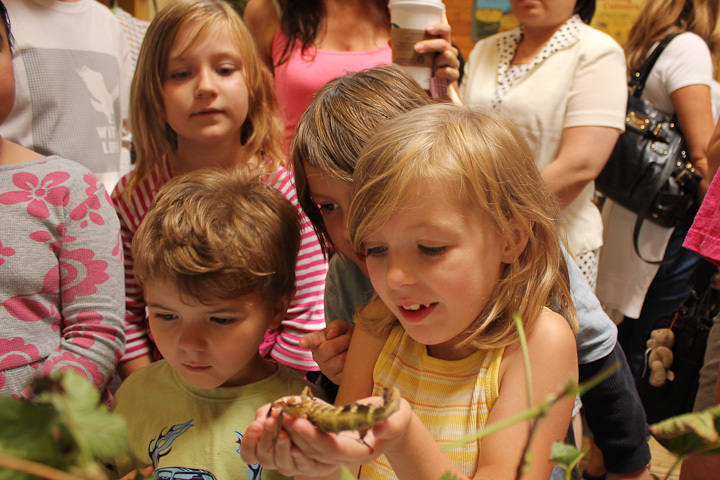 The leaf insects got quite a workout, and the kids loved handling them. 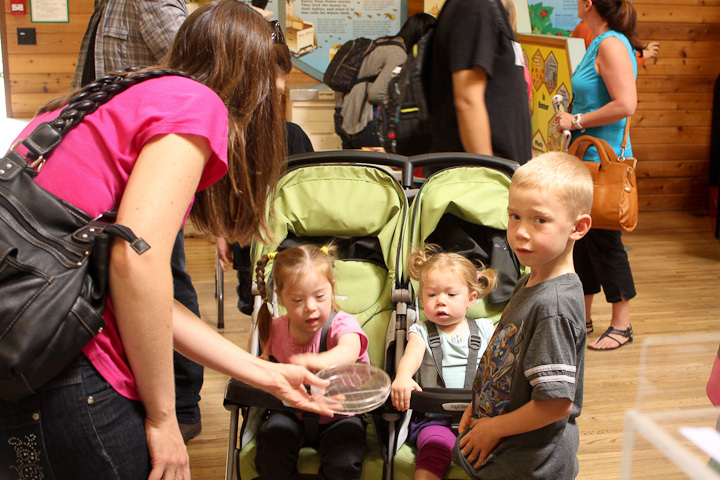 Although some adults were more wary! 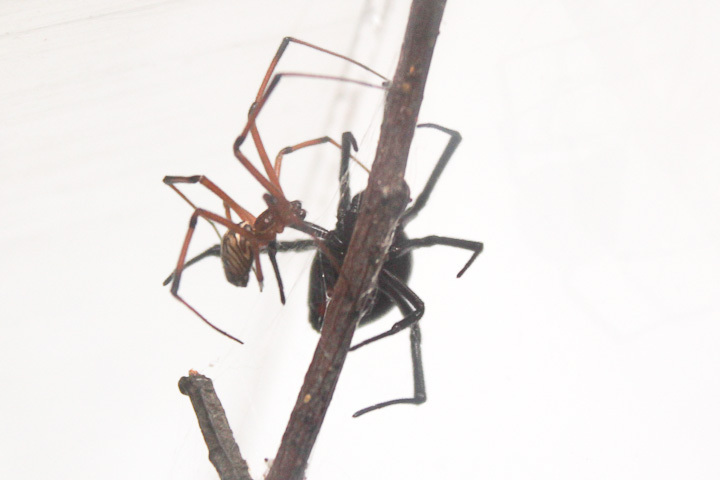 Catherine brought male and female black widows, as well as some false black widows. 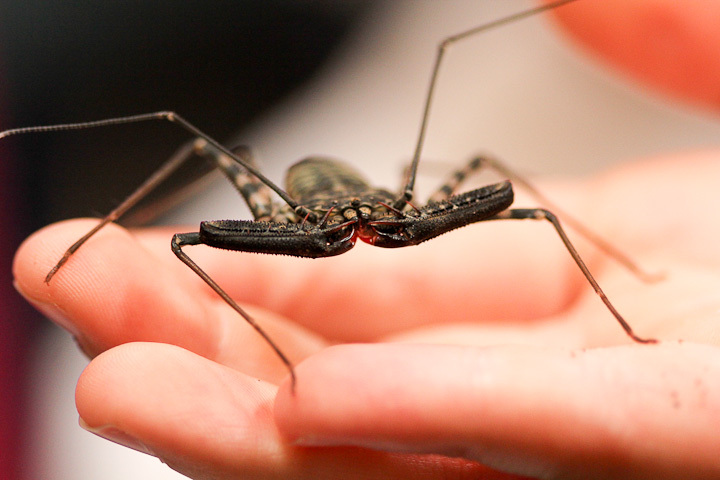 The Reptile Guy, Mike Hopcraft brought some awesome tarantulas, amblypygids (tailless whip scorpions) and scorpions. 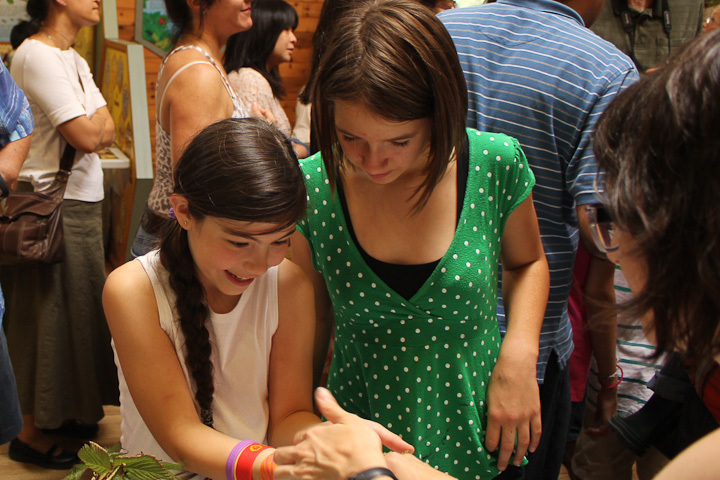 Here Catherine gets up close with Gretchen. 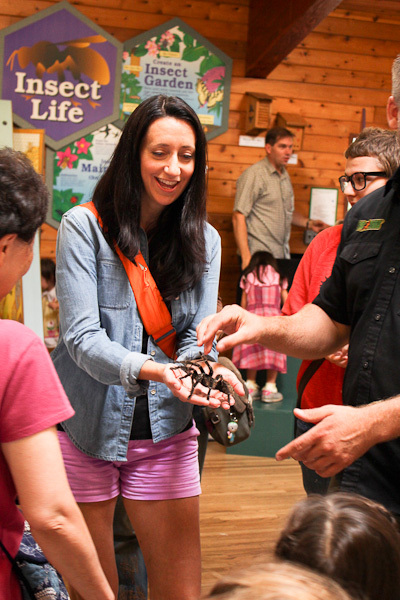 When people asked Mike (the Reptile Guy) “why doesn’t the spider bite you?” he replied “why would she?”. 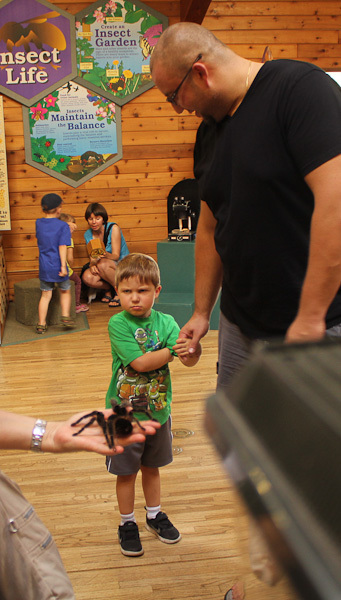 Catherine also surprised a lot of folks by telling them that black widows are not aggressive and hardly ever bite. 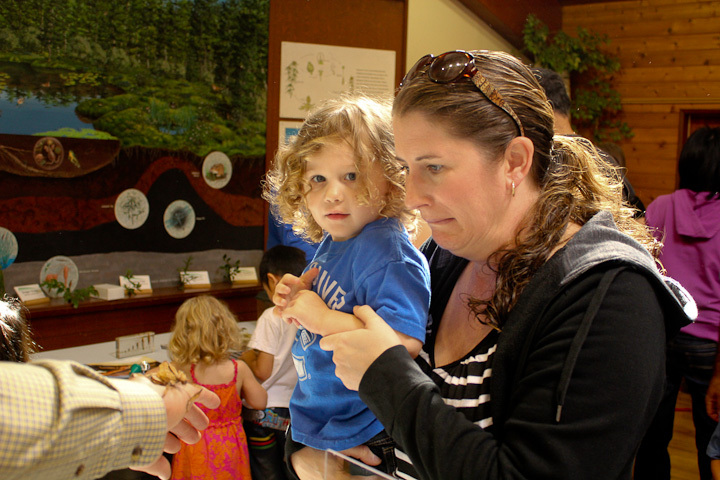 A great educational display was a female black widow, into whose cage we introduced this male. Over the course of several hours he courted and copulated. What time is it? 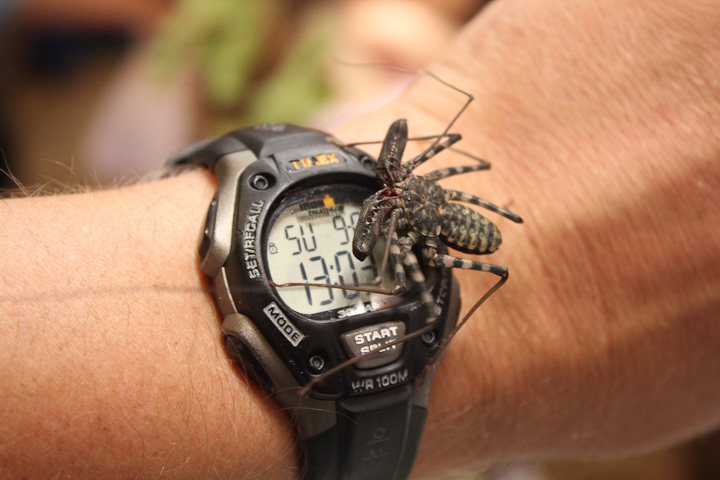 Amblypygid time! 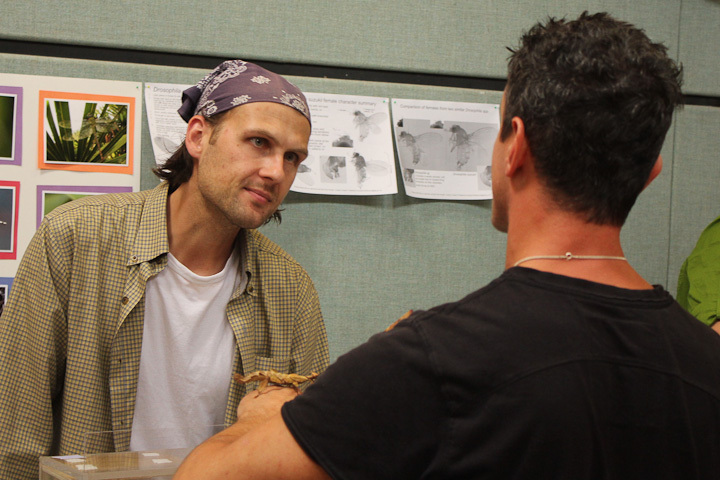 The Reptile Guy doing his thing! 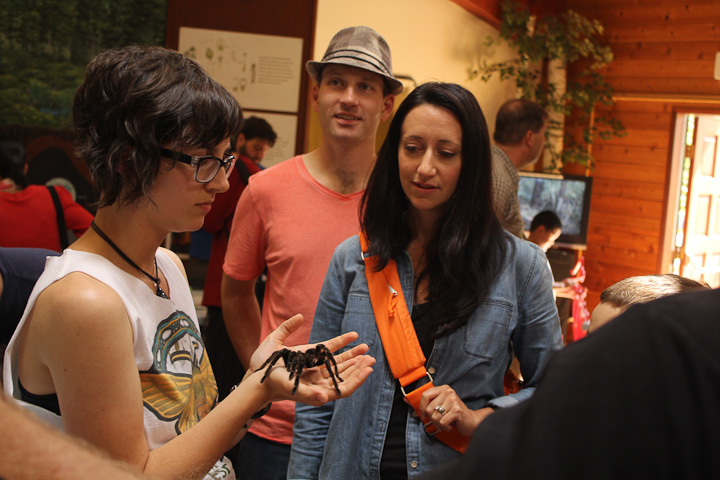 We got to talk to all kinds of people about science and bugs. 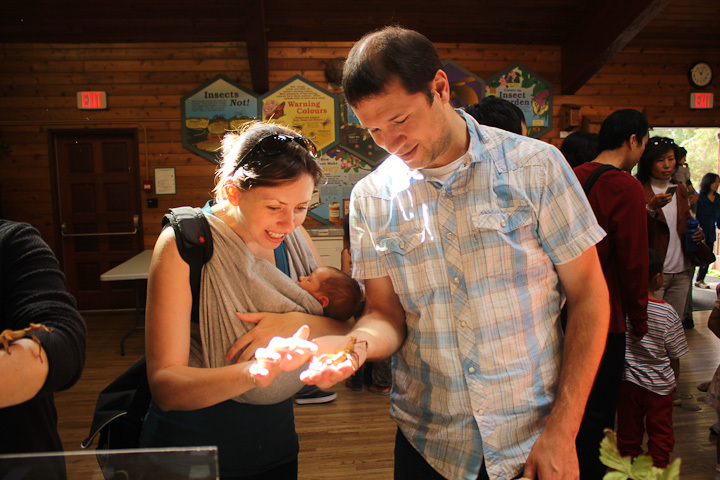 We had about 750 people come through, most of whom stayed for quite a while. 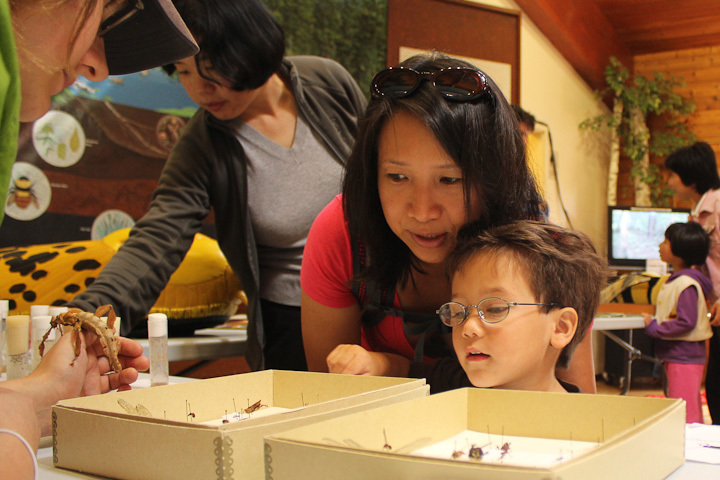 Many thanks to Emily Toda at the Richmond Nature Park and all the great volunteers for making this event so awesome! 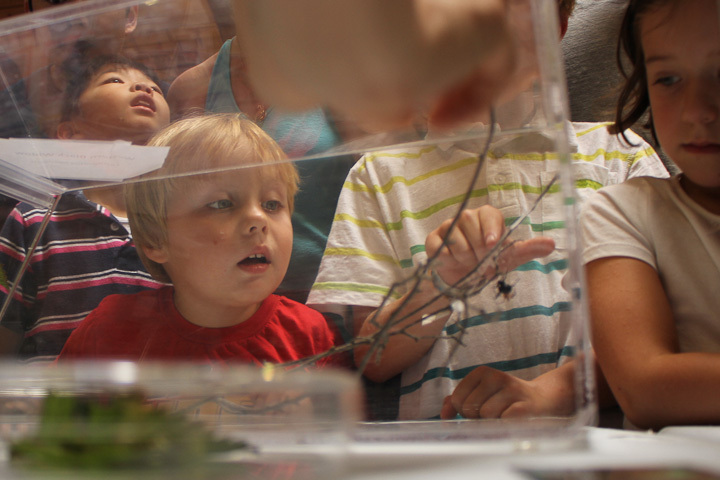 With so many cool insect/kid encounters going on, I had better just truncate this post with a slideshow. If you would like to see some of these in larger size, try my flickr page.